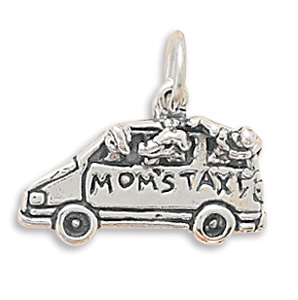 This brand new charm is a solid genuine stamped .925 sterling silver "Mom's Taxi" charm measuring approximately 9 millimeters by 21 millimeters! Show mom your appreciation with this adorable little charm! We carry over 800 different charms in our inventory and if you'd like to see our entire inventory just contact us for a link to our daily updated discount catalog to see them all!